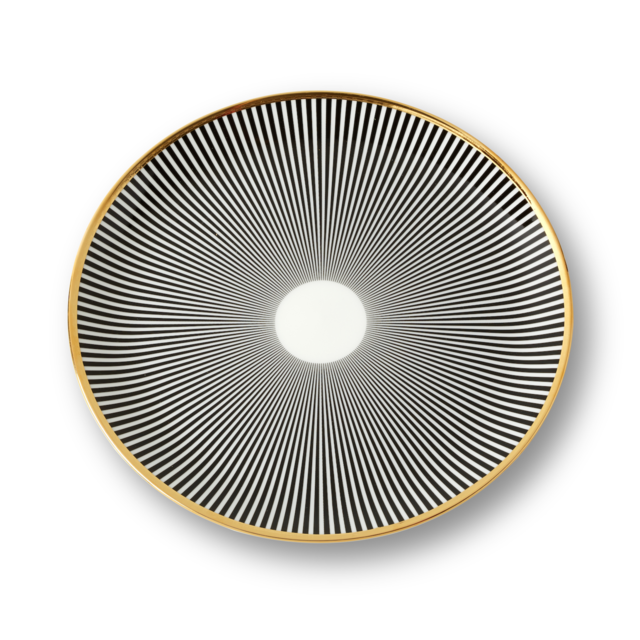 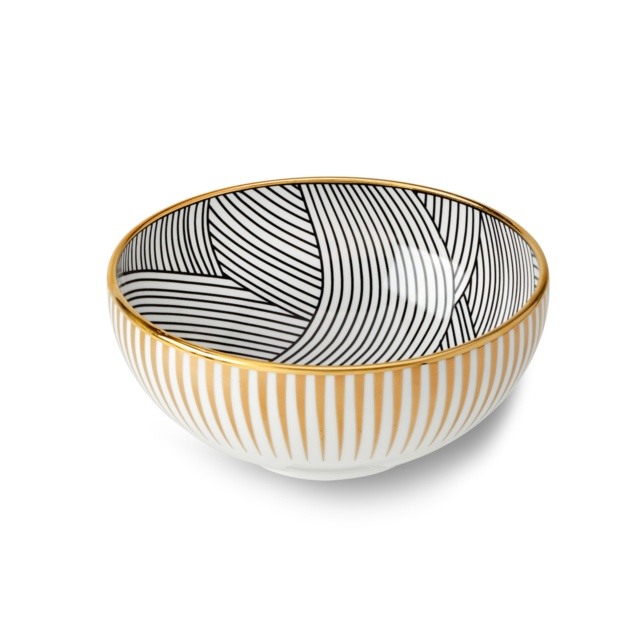 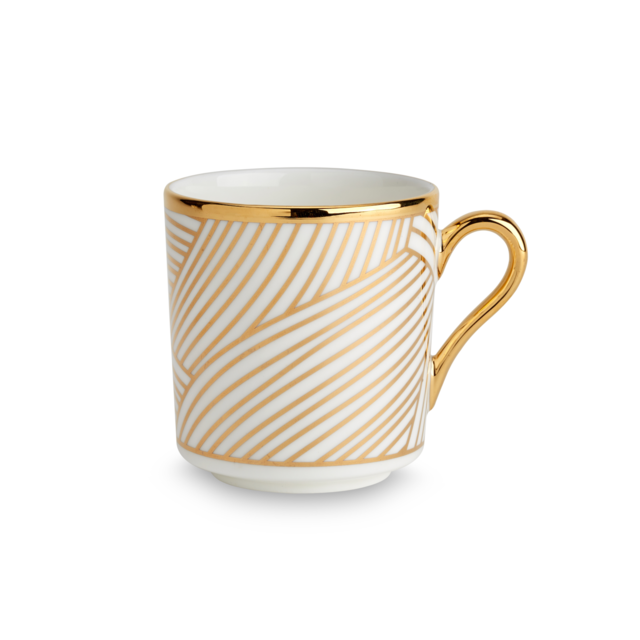 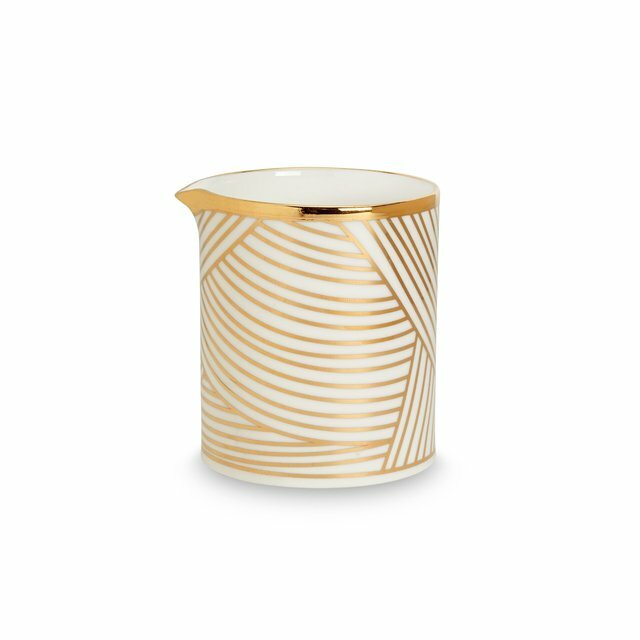 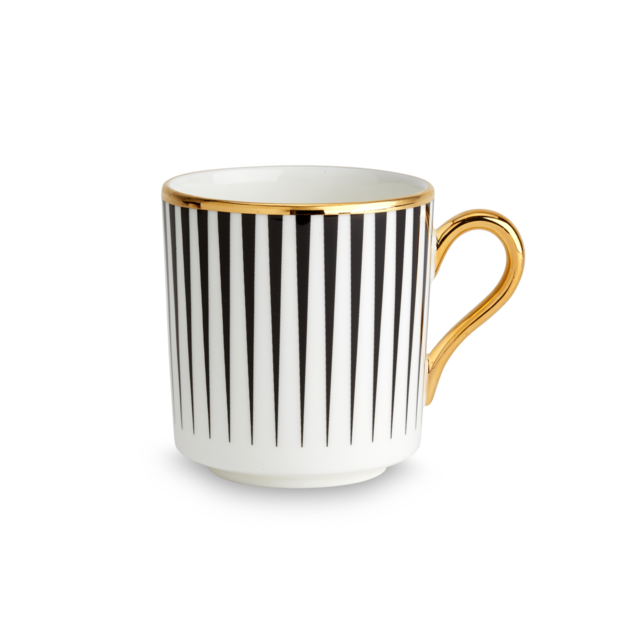 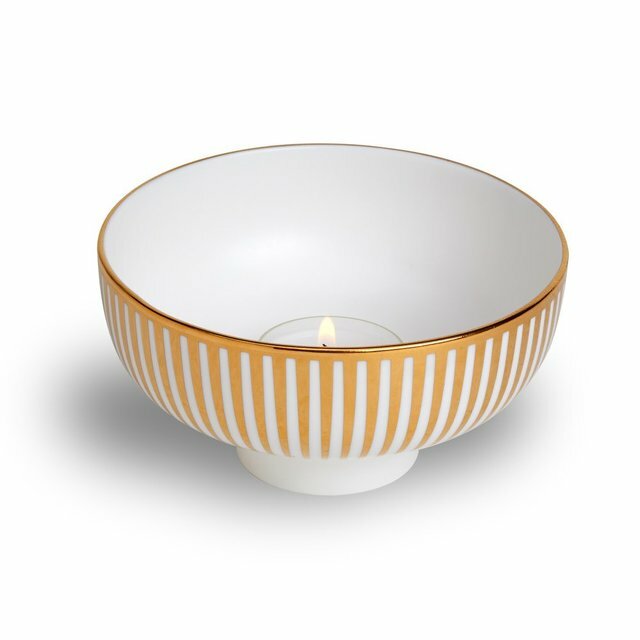 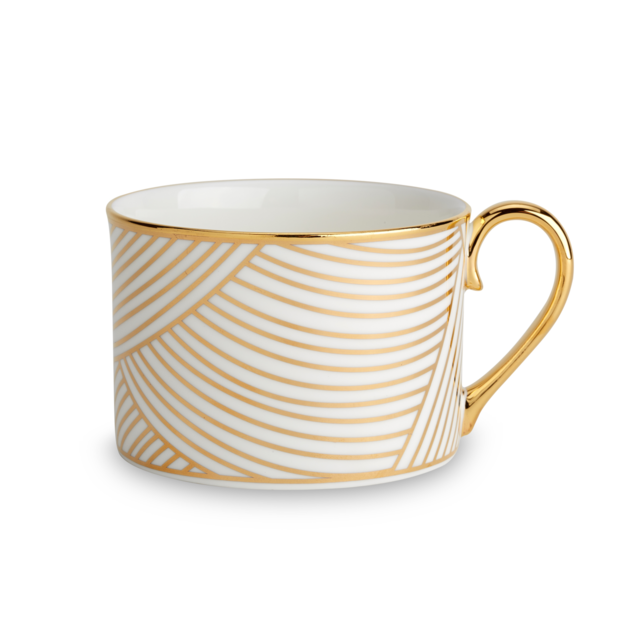 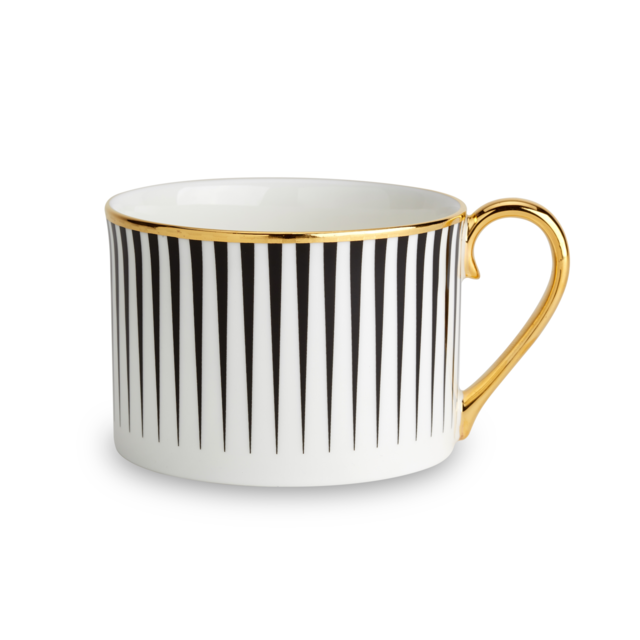 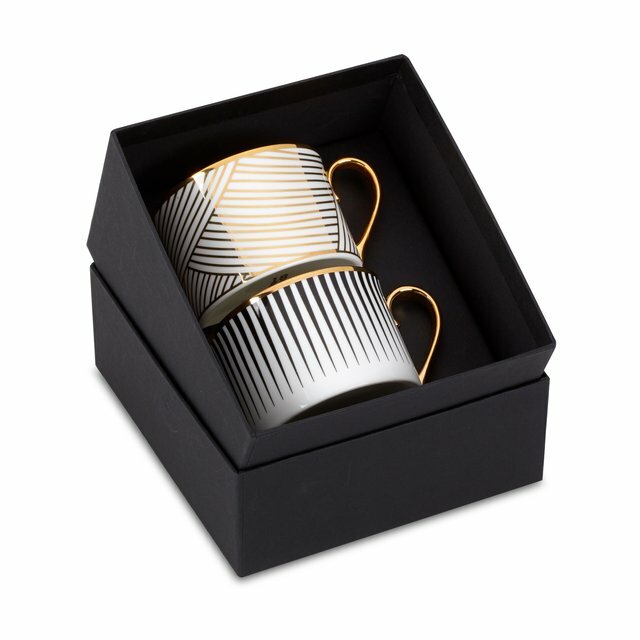 Lustre, conceived by award-winning designer Bethan Gray uses a fine bone china body paired with 22-carat gold and black decals, and finished with hand gilded details. 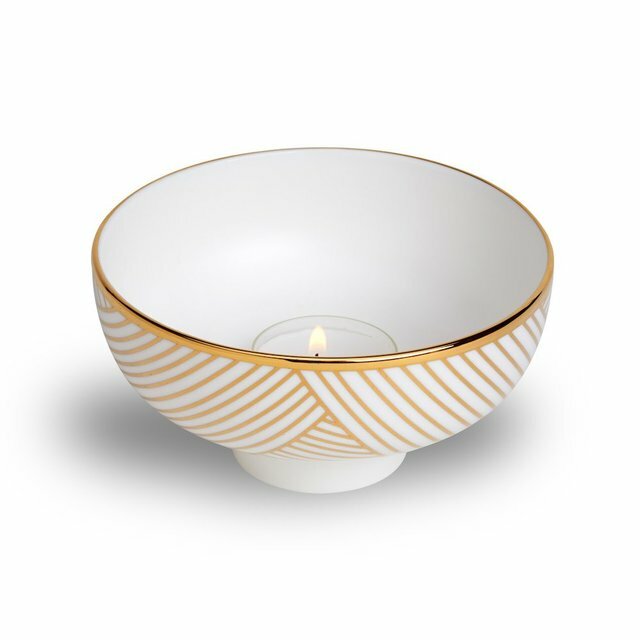 The collection features a reinterpretation of Bethan’s hand-drawn Dhow pattern originally inspired by the billowing sails of Oman’s distinctive sailing boats. 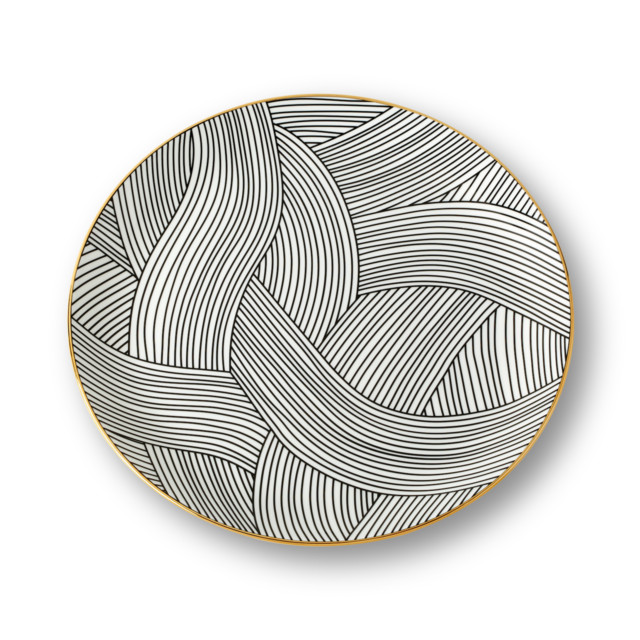 Possible only by hand, the pattern is meticulously applied in three separate pieces in a pattern that is complex with its curvatures. 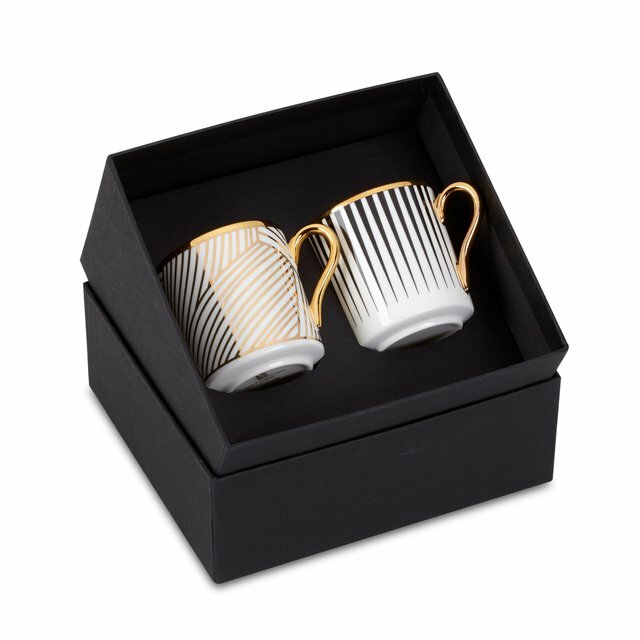 The decals of 22-carat gold and black are fired, hand finished with 22-carat gold and finally fired for a second time.